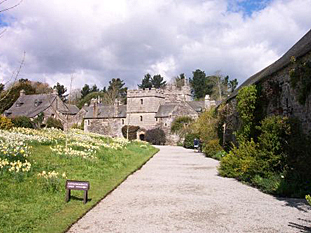 Cotehele is a vast garden with some steep paths, daffodil meadow, rare species of trees & formal terraced rose garden with magno climbers. 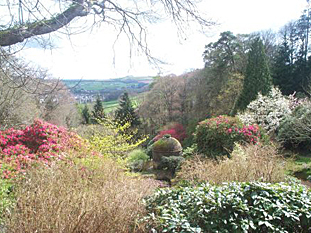 Come and enjoy the sheltered Valley with pond, dovecote 18th Century Tower, unusual shrubs, rhododendrons & azaleas. 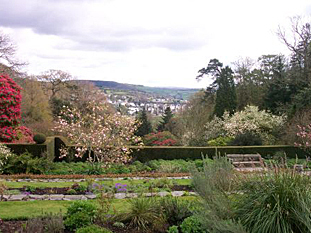 We are eight miles east of Callington, nine miles southwest of Tavistock, and 14 miles north of Plymouth via the Tamar Bridge. Our postal code is PL12 6TA. Sat navs get very confused in the small lanes leading to our place so we recommend you map out your journey ahead of time and follow the signs when you get to our vicinity.